Last night was incredible. So proud to be part of something so special. Looking forward to doing it all again tonight! Watch saturday&apos;s show recap at Amsterdam ArenA here!!! And it&apos;s after me, like a vampire in the dark…. 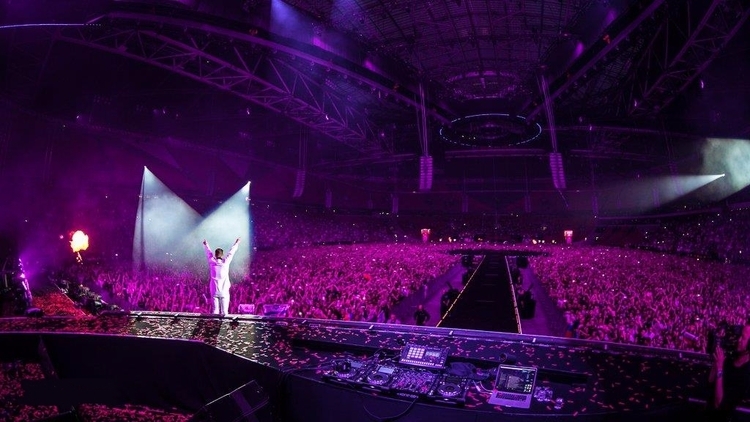 @avbofficial PERFORMS TO 80,000 FANS IN SOLD OUT ARENA SHOW IN AMSTERDAM. One of those unforgettable gigs that will stay with me for a lifetime. Blessed to play a part in this. Congratulations to @avbofficial and all involved. My chum @chriscoates is doing some amazing things over at Soulmate. Check out the new Soulmate Life menu. #TBT Remember this with my buddy @nchicane? See you this Saturday at @coyoteflyclub in Riga!!! !